Accommodates most flat panel TVs up to 70 with a maximum weight of 135 lbs. We ordered this item in mid-November. It arrived quickly but it arrived with missing pieces, dented/scratched pieces and repeat pieces. We quickly contacted the company to report the issues and request new parts. We received a quick response. However, after almost a month later, we still only had a pile of pieces. Therefore, we contacted Ameriwood again. Once again, we received a quick response but it was to tell us that our pieces were are backorder. No expected ship date was given. WHY COULDN'T THEY CONTACT US TO TELL US THAT A MONTH PRIOR!? Here it is mid-January and our \"fireplace TV stand inch is taking up floor space in our living room in several pieces. We will NEVER order from Walmart or Ameriwood again. We paid too much money for a product we can't use. The pieces are pretty to look at but not functional at all in the manner in which they arrived. My suggestion is to look elsewhere for a different product from a different company. 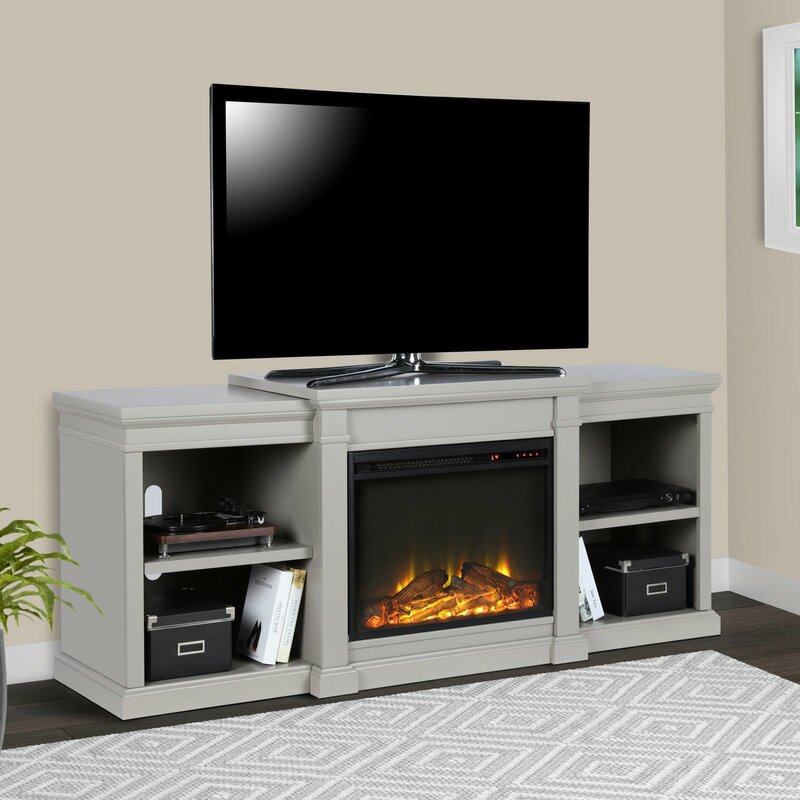 Home territory searches the web to find the best prices and availability on Electric Fireplaces and related products foir your home like Ameriwood Home Manchester Electric Fireplace TV Stand for TVs up to 70\. For this page, related items include products we find that match the following keywords: "Electric Fireplace" at our vendor partner Walmart - Click More Info / Buy Now to check for price rollbacks!. Ameriwood Home Manchester Electric Fireplace TV Stand for TVs up to 70\ is one of 45 Electric Fireplaces and related products available for sale through HomeTerritory.com, If you have any questions on this product, please give us a call at 734-971-1210 during the hours of 9am - 5pm EST for assistance. Thank you for shopping at Home Territory, the home furnishings superstore!